This save the date features multiple photos and a gorgeous gold glitter font. Sample shown on standard semi-gloss card stock. This save the date is 100% customizable. Colors, fonts, graphics, etc. can change partially or entirely. 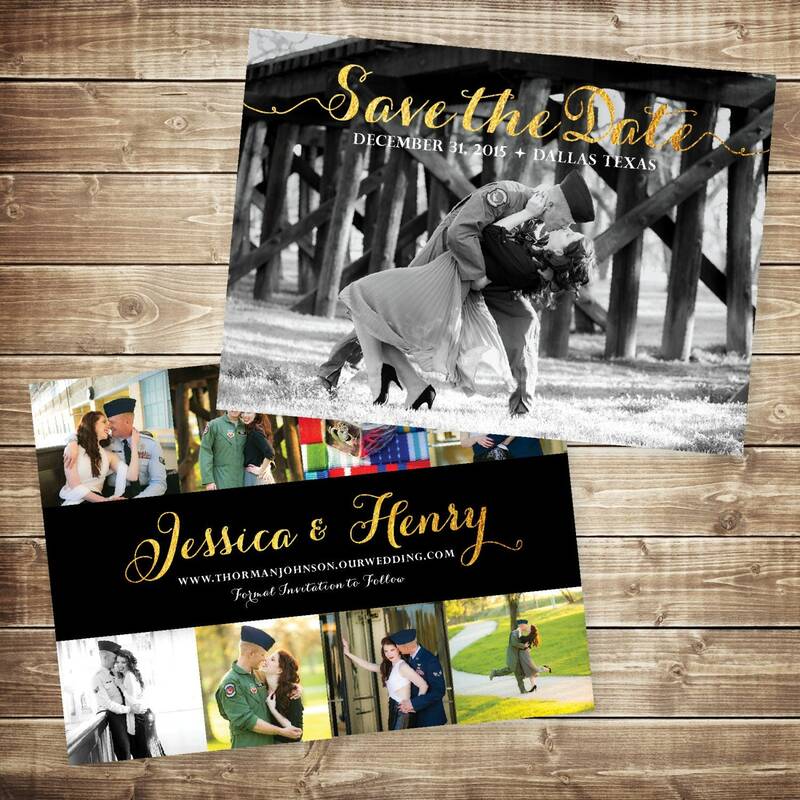 All of our save the dates are printed on amazingly thick cardstock using a commercial quality printing press.